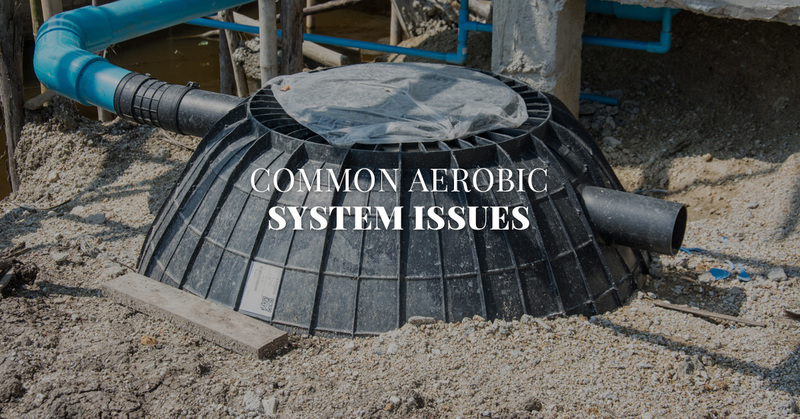 For any aerobic septic system owner, the sound of a wailing alarm is probably a familiar noise. This alarm doesn’t always mean that you’re experiencing a septic crisis however, but it could mean that one of many features of your septic system is in need of attention. When you’re addressing this alarm, there are many problems that you’ll need to look for. In today’s blog, B&B Pumping in Azle will cover some common aerobic system issues and how to diagnose them. This is perhaps the most common issue we see with client’s aerobic systems. If your alarm has gone off, one of the first steps you should take in remedying the issue is to check your power supply. Examine the system’s power switch to make sure it hasn’t been accidentally switched off. If the switch is in the on position, but you’re still hearing the alarm or seeing the service light, check the electric breaker of your home. Make sure the aerobic system is getting power. Aerobic septic systems use oxygen to break down and treat the wastewater in your tank. After being aerobically treated, this wastewater is often pumped back into the sprinkler system of a home to water a lawn. Before it is used in the sprinklers, this water is treated with chlorine to disinfect the wastewater. This chlorinator is used heavily throughout the year to treat the wastewater, and it can become clogged if you’re not scheduling regular septic tank maintenance. If your aerobic septic system is receiving power, but the alarm is still going off, we suggest checking your chlorinator for clogs next. In many cases, if the submersible pump isn’t working, this is a sign that you need a new pump altogether. However, in some cases, the pump may be unable to work because of a bad float, faulty wiring, or a damaged part of some kind. In these cases, it’s best to call in one of our specialists to conduct some septic tank maintenance on your system to repair or replace these components. Your aerobic septic system relies on regular intake of oxygen to break down your waste and for the system to function properly. If your system isn’t getting an adequate amount of air, and the air pressure is low, this is likely a sign that you need a new aerator, or a specialist needs to rebuild your aerator system. These components work together to time when to release the water from your system and use it in your sprinklers. If one or both of these components are damaged, or have failed, it can prevent your system from releasing wastewater through your sprinklers, eventually causing too much water to build up in your system. Of course, all of these common problems can be avoided if you schedule frequent septic tank maintenance with B&B Pumping. We can repair any broken parts, or install a new septic system entirely if needed. 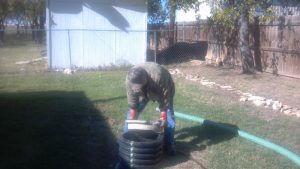 Contact us today to schedule your septic tank maintenance in Azle!